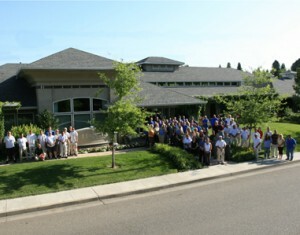 The Hignell Companies announced it has been selected by the Butte County Board of Supervisors as the management company to take over the Southside Oroville Community Center effective March 1, 2012. The Hignell Companies’ goal is to make the center self-sufficient and self-funding. With the recent danger of facilities and parks like Bidwell Mansion closing, the hope is that private businesses like The Hignell Companies can manage public facilities more efficiently. The Hignell Companies and the County agreed that the center would have no impact on county funds. Turning over management to The Hignell Companies will save the county $200,000 a year, according to Butte County Supervisor Bill Connelly. The first year, the county will pay the company $22,000 for management and thereafter the center is expected to be self-sufficient through its facility rentals. The Center will be operated onsite by Deborah and Kevin Thompson, who will be in charge of renting the public facilities and common areas, such as the kitchen, multi-purpose room and conference room, as well as daily maintenance and janitorial. John Iler, commercial property manager for The Hignell Companies will oversee the onsite team and manage commercial rentals. Greg Wietbrock, vice president of property management for The Hignell Companies, will have oversight of the entire project. The Southside Oroville Community Center began as a grass roots community effort and opened in 2002 under the management of the Private Industry Council, which shut its doors last year. It currently houses the E-Center Head Start program, the Boys & Girls Club of Oroville, Butte County Behavioral Health and the Butte County Sheriff’s Office substation. The Hignell Companies is a family owned property management company that has been providing services in Chico and Northern California for over 60 years. Hignell currently offers residential and commercial property management, home owner association management, brokerage and full professional services including painting, cleaning and construction/maintenance. Hignell is committed to the highest standards of excellence and service, and guarantees complete customer satisfaction by creating caring communities that transform lives.